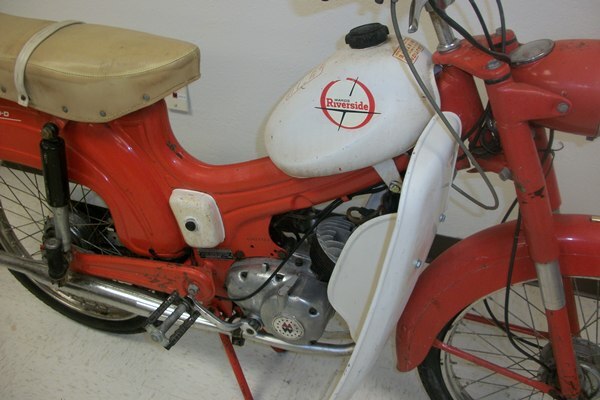 One family owned 1965 Wards Riverside 250-D moped. This Italian retro-ride is in all original and complete condition but currently not running. It can be purchased in one of two conditions; Builder’s Stock or Fully Reconditioned. 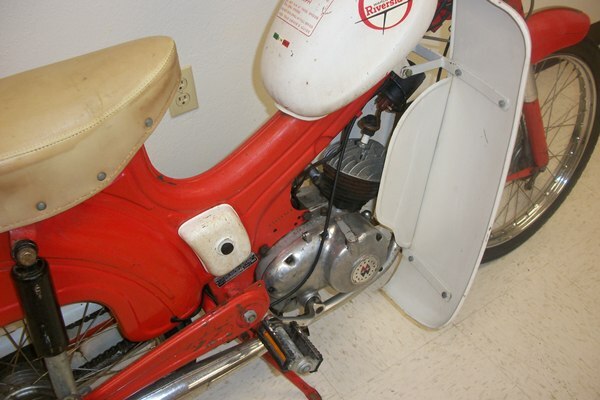 These mopeds are very simple to repair and restore if you are looking for that first-time restoration project that you can be very proud of once you finish it. We have lots of useful resources/reference material available to you at no cost that includes copies of repair and parts manuals, engine rebuilding parts list, paint codes, etc. You can even purchase a high quality reproduction decal set from us to complete your bike! Of course if you want to own this bike but not have to fix it yourself, we can help you out there as well. 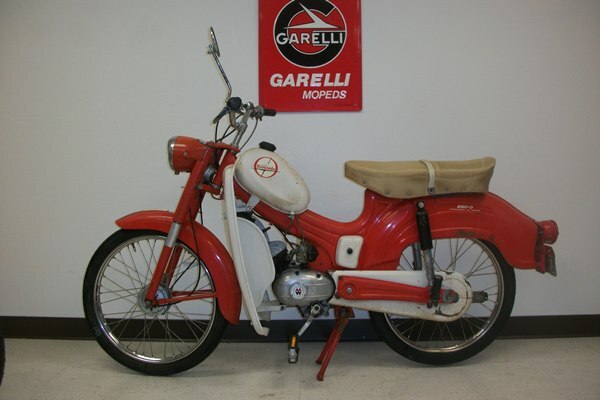 We will fully recondition this moped and deliver it to your driveway for additional fees. 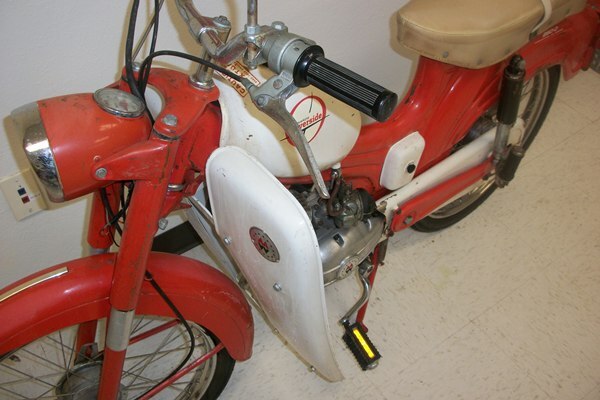 Reconditioning of this moped would include a professionally rebuilt engine/carb, new cables, tires, petcock and more. It is possible to have us do a full restoration on it and return it to new condition including paint, graphics and upholstery. 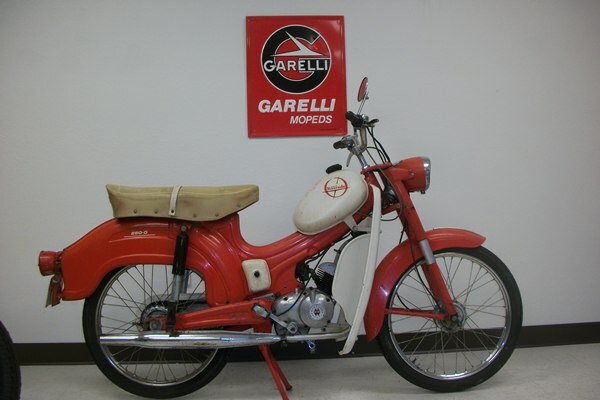 This moped was manufactured by Benelli for sale through Montgomery Wards during the Mid-60’s. 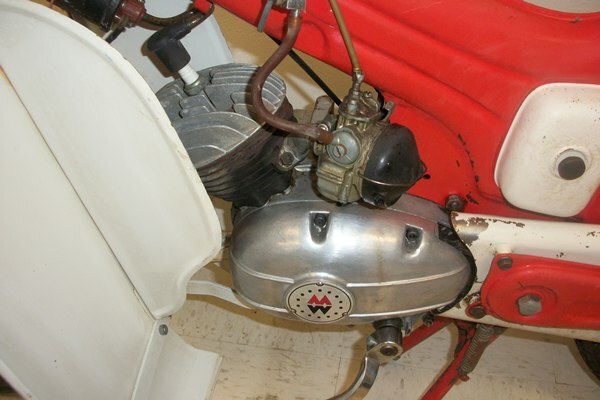 The 250-D model was equipped with steel leg-shield, speedometer, flip-up long seat, passenger foot pegs and tool pouch. The base model 150-D did not come with those features.